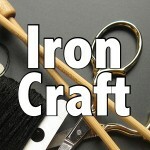 For this Iron Craft challenge, we were to use supplies from the dollar store or things that cost a dollar. I had an added challenge in that I was on vacation overseas during all but the last two days of the challenge time. 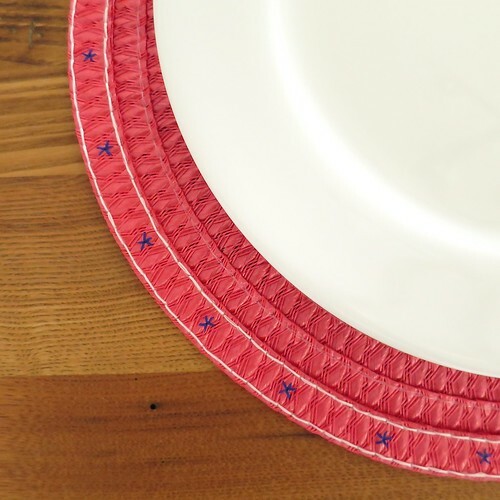 Still, I managed to pull together a project, Fourth of July themed embroidered placemats. My husband calls this project subtle, I call it last minute while jet lagged. Actually, I think it’s not too bad considering. 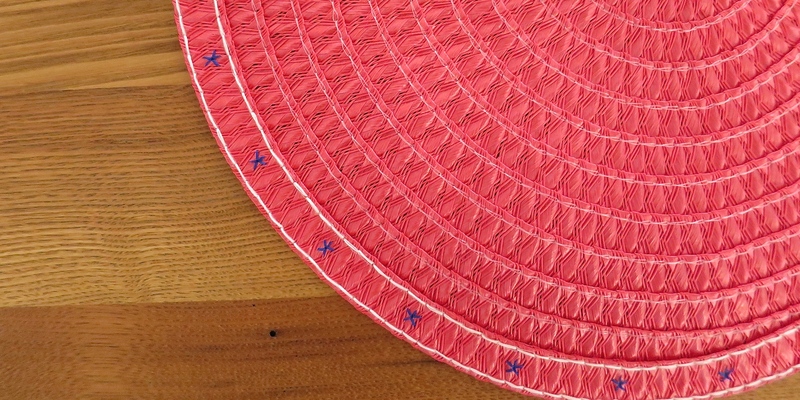 I found these red woven straw (I think it’s more of a plastic straw) placemats at the dollar store and right away knew I wanted to try embroidering a design on them. I kept the design simple, just basic royal blue stars and white lines. 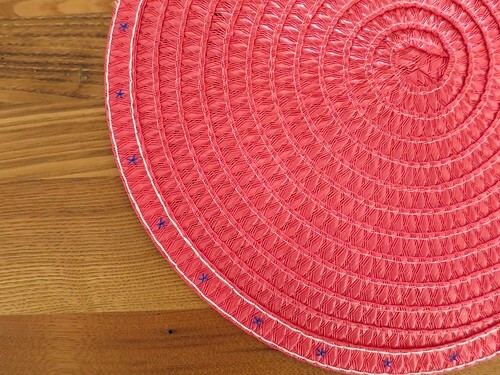 I only did the edge of the placemats because that was all you really see once a plate is on them. 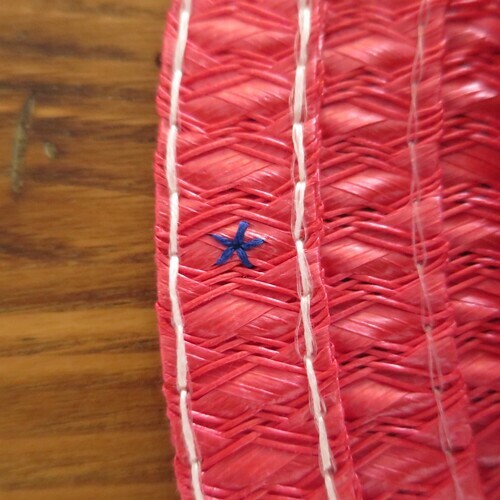 I was afraid the weaving would be hard to embroider into, but the thicker sections of “straw” made it very easy. It also didn’t split at all, which is what makes me think it’s more of a plastic. The hardest part was figuring out even spacing on the stars. 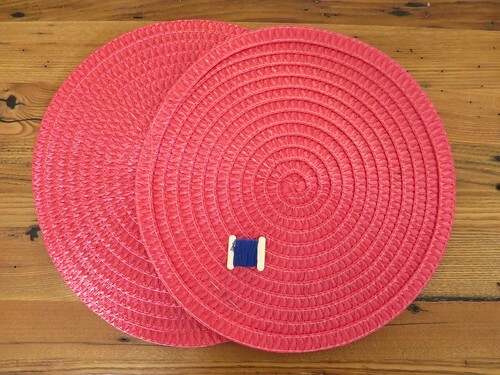 I think these will look really cute with the stars and stripes table runner I made a few years back. 5 years ago by Kat in Challenges , Embroidery , Embroidery Projects , Fourth of July , Holiday , Iron Craft , Needlecraft , Projects | You can follow any responses to this entry through the RSS feed. You can leave a response, or trackback from your own site. I want to think of this as “inspired by time” rather than subtle or a jet-lagged attempt. A great project regardless. Well done. They are so cute. And your photography is always so nice.